Pokemon GO is not much popular these days as everyone got pretty bored of the new Pokemon GO rules and banning. However, there are still players who are attempting to ultimately conquer the game, but at times are struggling. The augmented reality (AR) game Pokemon GO seems pretty boring after a period as you end up catching all the Pokemon nearby. 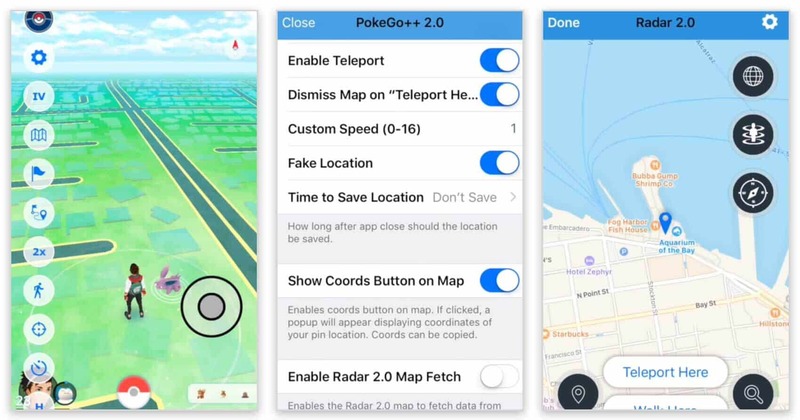 Well, we have the latest working Pokemon GO iOS Hack 2019 which does not require Jailbreak or any changes to your device. The new Pokemon GO Gen 4 update has completely changed the game and has brought many new Pokemon that we always wanted to start with. The Gen 3 updates offers over 130 new Pokémon. 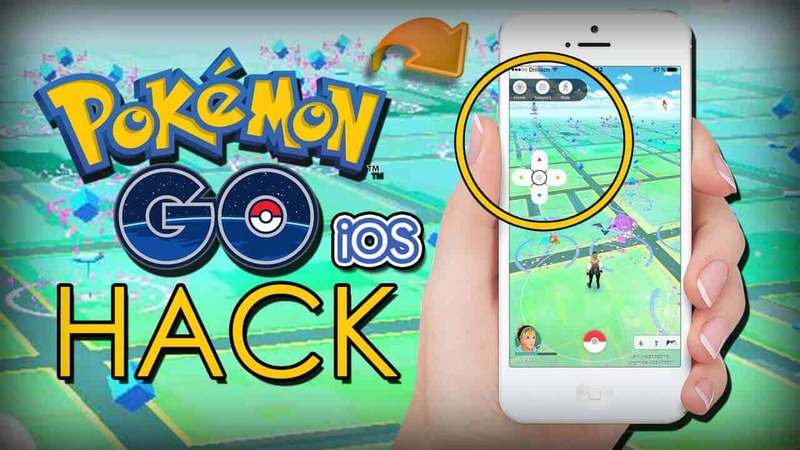 This is Pokémon GO’s biggest update till date, it is surely gaining momentum & bringing old players back into this game. Pokémon Ruby, Sapphire and Emerald, the vast majority of which were original creatures, alongside a couple of baby Pokémon and brand new Legendary creatures. 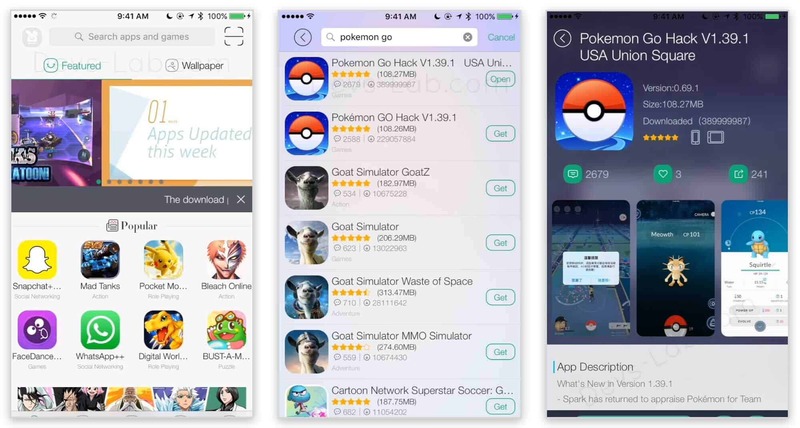 If you’re looking for Android hack, you can check our Pokemon Go hack on different platforms. 1.1.6 Notes for installing on a Non-Jailbroken iOS device. It will hatch eggs and get buddy candy for you! Pokemon GO Joystick to move around. Walk Speed i.e 2 Times, 4 Times or even 8 Times. It has an IV calculator built in not only for the Pokemon you’ve caught, but also it will show the IV of Pokemon as you’re catching them! 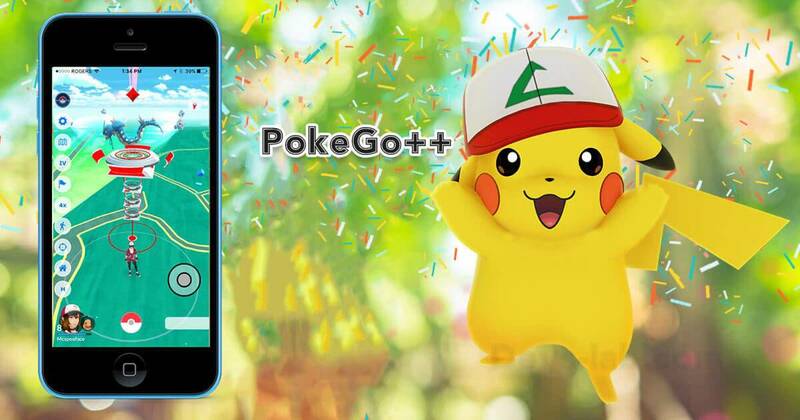 Activate Airplane Mode before launching the game or download some kind of app (like AdGuard) to block “post.pokego2.com” so all requests to that site will be forwarded to localhost. When an cooldown timer is started, the icon will now change colors depending on your location. The icon will show RED if you are currently located in an area OUTSIDE of your current elapsed cooldown. The icon will show GREEN if you are currently located in an area INSIDE of your current elapsed cooldown. For example, you set a cooldown timer of 2hrs. 5 minutes go by and your current location is 1 KM away from your location where you started the cooldown. Your icon will show green meaning the distance of 1KM is within your cooldown of 5 minutes. The Cooldown icon will automatically update between green and red as you actively walk and teleport making it really easy to determine your current state. The icon will return to the normal color once your cooldown has elapsed. Step 1. Download all the files above and transfer it into your PC (Mac/Windows). Step 2. Extract Cydia Impactor in your PC & install it. Step 3. Make sure you have installed iTunes in your Computer & logged into iTunes using the same iTunes ID as used in your Phone. Step 3. Launch iTunes (Make sure you’re logged in) & connect your iPhone to your Computer. Step 4. Now launch Cydia Impactor. The Cydia Impactor will show your device in the drop down menu. Step 4. Now Drag and drop the Pokemon GO++.IPA file into the Cydia Impactor. It will ask to confirm your iTunes Account, just fill the details & you’re good to go. Step 5. 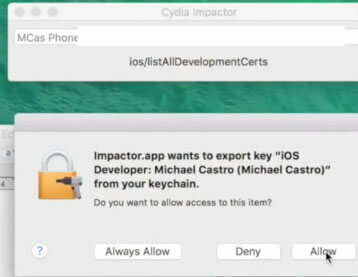 What Cyndia Impactor does is, it will sign the IPA files so that your iPhone security does not reject the app as it’s not downloaded from the App Store. Step 6. Once the installation is completed, you can launch the Pokemon GO App & you can enjoy the Joystick life! Visit PokeGO Patron page and click “Become a Patron”. Perform the donation of $5 or more. Go into ++ settings and at the top press “Authorize With Patreon/Discord”. You will be taken to Safari and asked to sign into your Patreon account. Sign in and press “Allow/Authorize” on the screen that pops up. On the next page press “4th link, Generate key” then copy and paste that key into the key box at the top of ++ settings. Notes for installing on a Non-Jailbroken iOS device. The tweak must be re-installed every seven days due to restrictions imposed by Apple. However, for re-installation, you need not remove the existing tweaked IPA on your iOS device. The tweaked IPA you downloaded should be at least 100 MB in size. If not, the download might have been corrupted, and you should re-download the file. The computer you use to install the tweaked IPA must have iTunes installed in order for Cydia Impactor to work. If you get a provision.cpp:150 error, the easiest solution is to create a new Apple ID and use that just for installing the tweaked IPA. Log-in and disable your Two Factor Authentication. (You can enable it again after jailbreaking.) Or just create an extra Apple ID, don’t enable Two Factor Authentication and use that one. For most other errors, Google is your friend. We do not stand by nor support installations via Tutu. If you get a provision.cpp:81 error, click on the xCode menu in Impactor, revoke certificates, and try again. Afraid of using your Phone for spoofing? 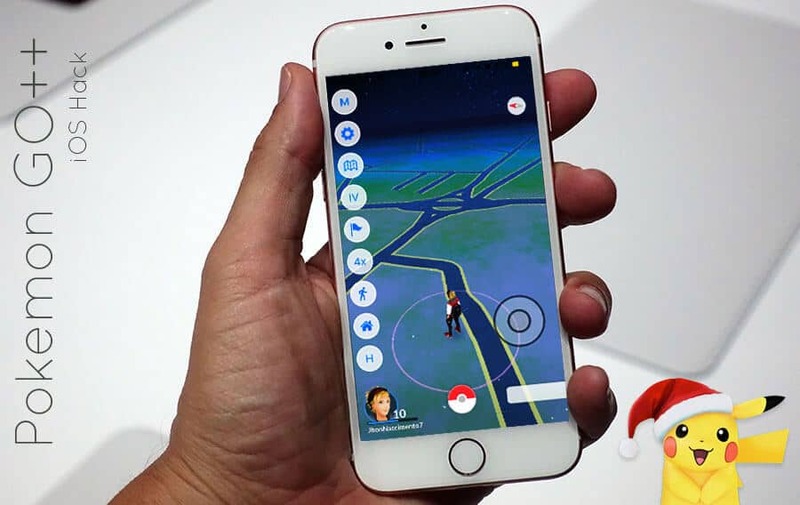 Well you can even use Pokemon GO PC using your iPhone and a Mac device without any hassle of getting yourself banned or caught. While the Pokemon GO++ App is not updated more oftenly this days, you can enjoy your game through TuTu App. Just like PokeGo++ , TuTu App also provides teleporting, fake GPS, Joystick and Run mode. If you find any issues with PokeGo++ (Since most of the users don’t like the Developer things) you can follow the TuTu Hack method. This seems to be required for it to run, but you do not need to ever open Tutu App, nor install Ness Tool nor deal with any of their ridiculous and dodgy permissions. Step 1. Goto www.tutuapp.vip & Click on Regular at the top. Click on the Download button & install the app. Wait for the app to be installed. Step 3. 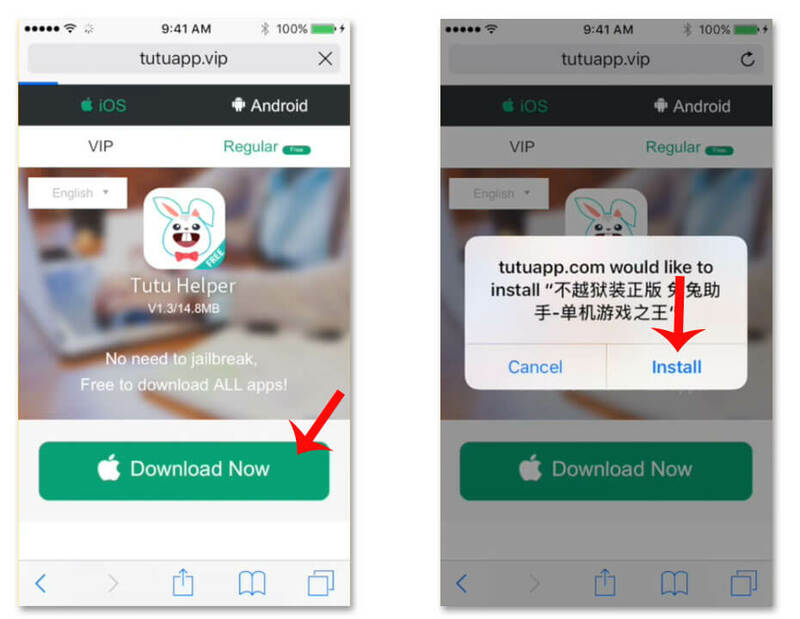 Launch the TuTu App & you’ll find “Pokemon GO”, click on the button next to the Pokemon GO App, to install it. Step 4. Once the installation is completed, follow Step 2 & Trust “Beijing BITCAR Interactive Info & Tech”. Step 5. Launch the Pokemon GO app & wait for it to load it. It will ask to access your location, make sure you press “Allow”. Step 6. Sign in to your Pokemon GO Account. That’s it, you have the Teleport feature working. Important: Once you jump to a location & you find a Pokemon, Click on the Pokemon which will Zoom things up. Don’t throw the Pokeball now. Just click on the Home at the top to return back to original location. Now throw the Pokeball so that the game thinks we are not cheating & you won’t get banned. Head to https://appleid.apple.com and log into your Apple ID account. Scroll down to the Security section and click on the Edit button. In this section, find the “APP-SPECIFIC PASSWORDS” part and then click on Generate Password. Enter a name for the password, which could be anything like “Pokemon GO++” and then click on the Create button. Copy the password that is generated. Now, when Cydia Impactor asks you to enter your Apple ID password, use the password generated in the last step. A. Uninstall everything related to Pokemon GO and even the Pokemon GO app. 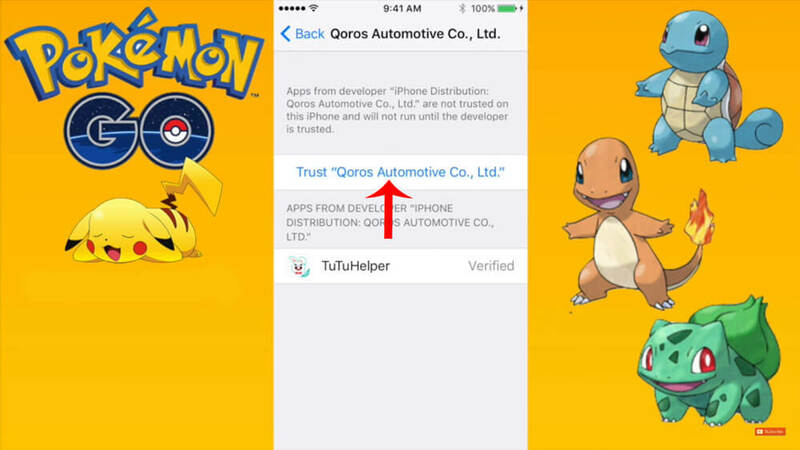 Make sure there are no signs of Pokemon app in your iOS device. Now try to install the app again using the above method. 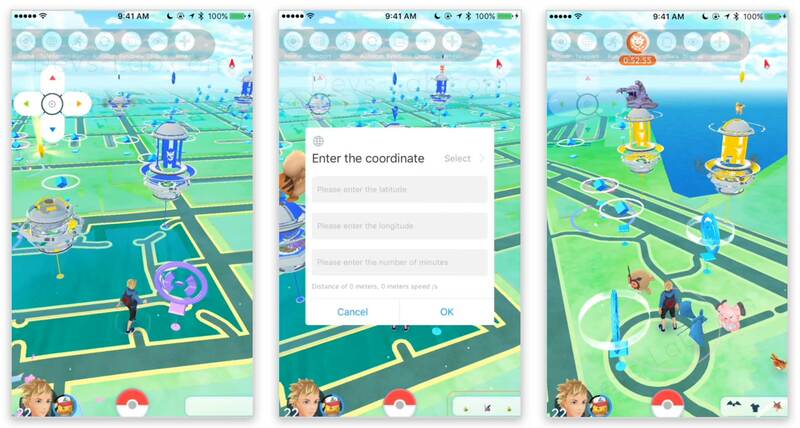 Now that you can jump to locations, you can snip locations of Pokemon using Pokezz’s website. Get the coordinates of location & jump to the location. If you don’t find the Pokemon spawned, you must walk around there for sometime, it takes time to load maps & Pokemon. Have fun catching the rare ones. Have any questions? Comment down, we’ll try to reply back as soon as possible!